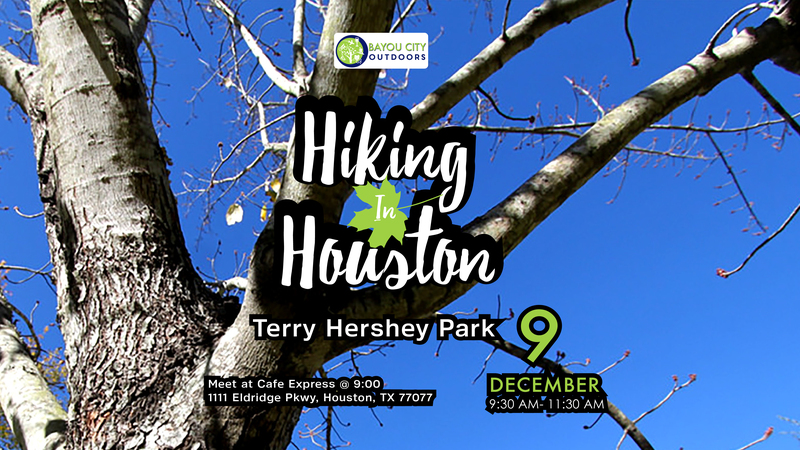 Come Prepared for a hike in Houston woods on the westside of town. Tennis shoes or hiking boots, both work equally well. The Terry Hershey trail is wooded, runs next to the Bayou and you’ll think you’re on the AT. Well, the Houston version of the AT! This is a great hike to stretch your legs and meet other people who enjoy getting outside. Meet at 9:00 AM we will head out about 9:30 AM. Hangout before the hike for a coffee and then after for brunch. If it is cool out (below 75) dogs are welcome. Bring Fido’s water bowl, leash and doggie bags.